Say hello to my first 'leather' pants! I've never bought one before, because I normally prefer real leather over PU, but those pants just have a crazy price tag which I simply can not afford.. I rather save my money for a oh-so-wanted designer bag :) So, this is another zara sale score what just cost me less dan 20 euros. It fits perfectly and also has a lot of small details like zippers and quilted patterns and guess what? It even feels like real leather when you wear it! 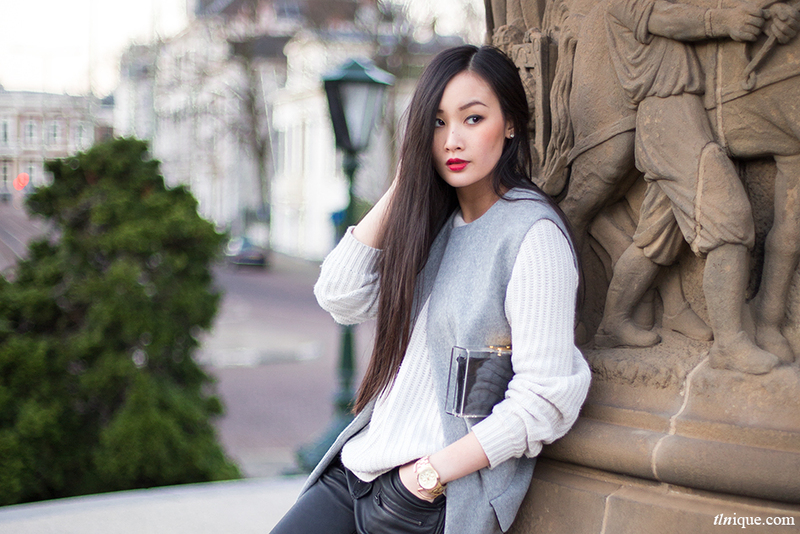 Wauw supermooie broek, en awesome sale score! I've got both faux and genuine leather pants and I can't believe I'm actually saying this. I like the faux better. You look great on this looks! 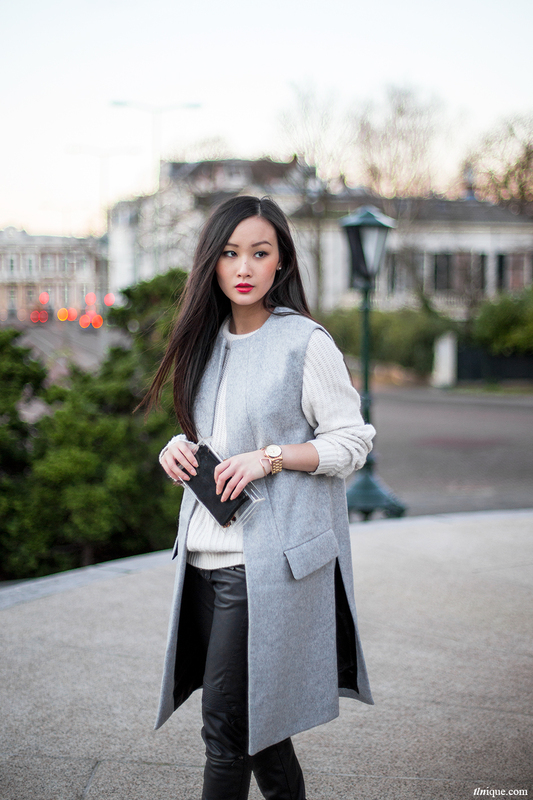 The maxi vest is super chic and the most beautiful grey! This outfit is so cool! The leather pants look great on you. Zara is filled with such gems. Wonderful look! Love this waistcoat, have been looking for it for a while but unfortunately haven't found it in stores. 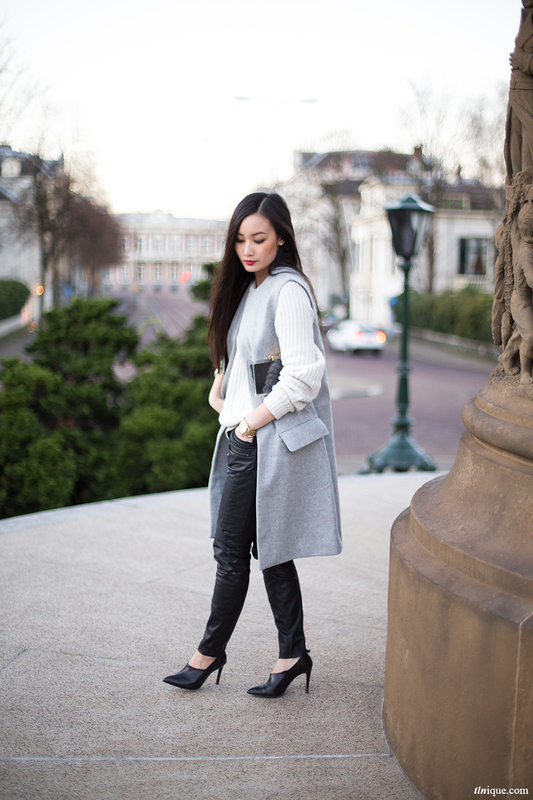 We love all the looks with leather pants, we need them! What a perfect look!! In love! Love this outfit! That coat is marvelous! Another perfect look as always! Total crush for the waistcoat! This waistcoat looks totally cool on you! Love these photos! You are such a beauty! Really stunning this style, so nice. All my fave colors in one! Very nice!